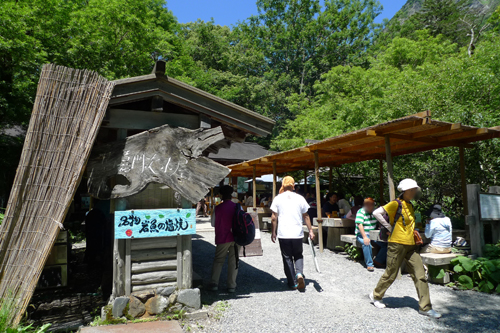 In Kamikochi, Nagano if you walk from Kappabashi bridge to Myojinike pond. 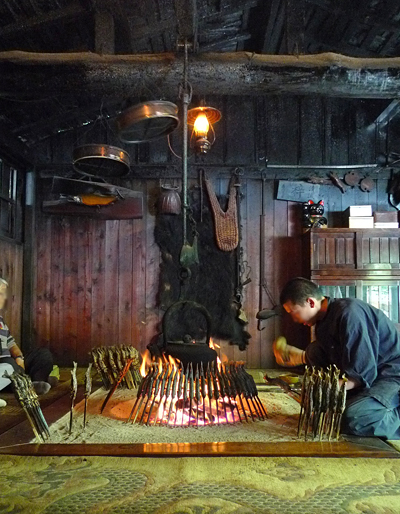 you can stop at Kamonjigoya to eat the famous iwana (river trout) grilled over an irori. 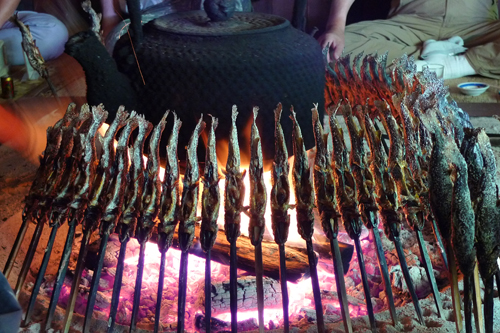 Iwana is well grilled for 40 minutes. You can eat a whole fish. It tastes great and go with beer! Grilled iwana with salt cost 900 yen. Kamonjigoya was built in 1880 by Kamonji Kamijyo. He was a good hunter and knowledgeable mountain guide. He guided Walter Weston, a British missionary and mountaineer who introduced the ‘Japan Alps’ to overseas. Welcome to Shoryudo, located in the very center of Japan. Let's find out what Shoryudo offer!